"I have been dancing hula for 30 years. I moved to Oak Park two years ago. I cannot believe how blessed we are to have a kumu (teacher) here who is so well trained and, perhaps even more rare, carries true aloha - respect, compassion, patience and appreciation of souls, as well as a bond with the land." "I am grateful to be a part of the Halau i Ka Pono ‘ohana (family)! My love for Hawaii and its culture after traveling there some years ago has brought me here. Kumu June is a spirited and compassionate instructor and ensures that you not only learn the steps and dynamics of each dance but also the meaning and intention that inspired it. I enjoy learning and then sharing the art of hula with others. Mahalo (thank you) to Kumu June, my hula sisters, and new community of friends!" "I've known Kumu June for several years now, and have studied hula with her consistently over the past several months. I've also attended several hula events at Halau I Ka Pono, and it is my experience that the emphasis is on keeping the Hawaiian culture alive, and in particular, Kumu June's hula lineage through her kumu, Michael Pang. Her style of teaching is gentle and encouraging. She is very good at breaking down the basic steps, so they are easy to learn. Her corrections are exacting, but are given with aloha, and very often with humor. I once observed her working with a guest student who had Alzheimers. Kumu June's gentle way of teaching someone who had challenges processing information made it an enjoyable class for all of us. 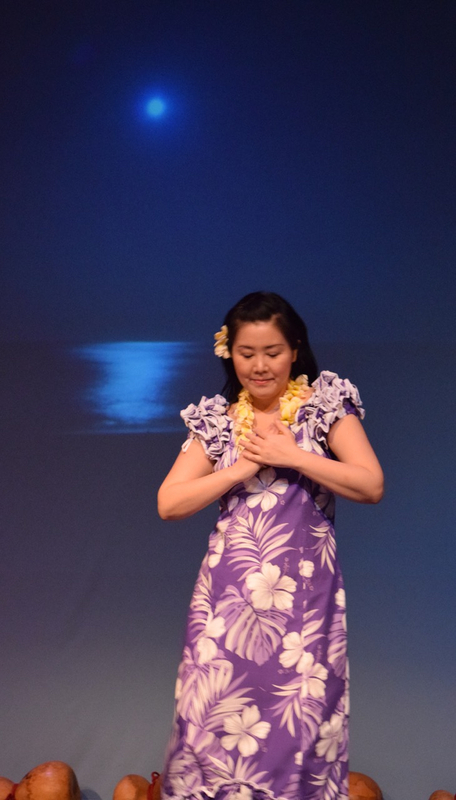 Most importantly, Kumu June's dedication and love of hula shines through all her teaching."